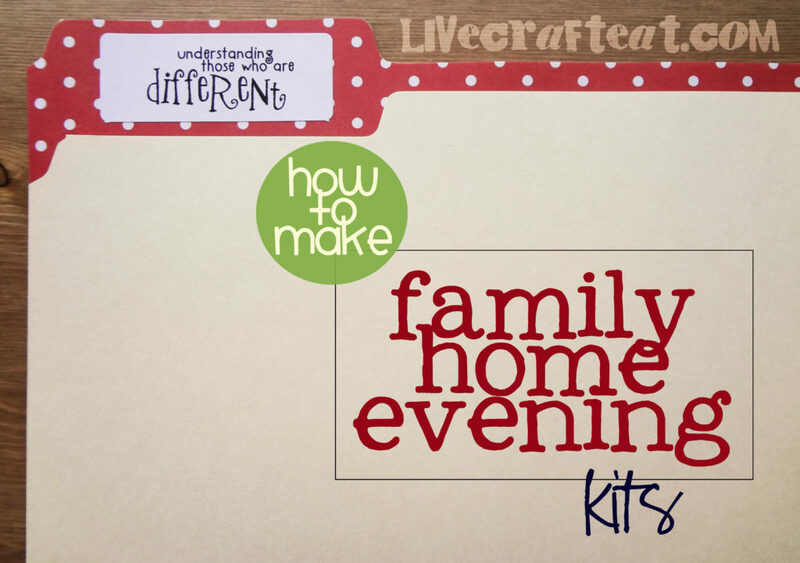 family home evening kits are awesome. you put up a little bit of time and effort in the beginning, but your monday nights will be stress-free, structured, and pre-planned for a long time! and don’t feel like you only have to use each lesson once. save it for next year or even just a few months from now – just like the church manuals rotate through so we can be reminded of certain principles, family home evening lessons should also be used over again to remind us of different lessons that need to be learned and re-visited often. so, here is one way of setting up your family home evenings. use whatever family home evening resources you can, prep everything, put it nicely tucked away in a file folder (aff link; tape up the sides to keep any little pieces from falling out), and the next time you’re caught scrambling to find something to do on Monday night, whip one of these out for a fun learning activity and a great time spent with family. the first thing you’ll need to include in your family home evening kit is an outline. this is the order in which you will follow your songs, lessons, activities, etc. click here to download the outline for the understanding those who are different fhe kit. the next thing you’ll need is an opening song to go along with the theme of your lesson. photocopy from the church’s songbooks or download it from lds.org (either the hymns or children’s songbook). after that, you’ll need a scripture. print it up nice and big so that you can post it somewhere (fridge? bathroom mirrors?) during the week. laminate it if you think you need to, and/or add a magnet on the back so it’s ready to display. 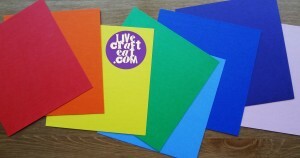 or even print one up to fit in an “fhe frame” that you display all week long. 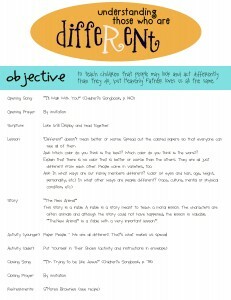 click here to download the scripture and paper people instructions for the understanding those who are different fhe kit. now it’s time to include the lesson and any props that you might need to include with it. for example, in this lesson we’re talking about different colors, so i’ve included in my folder different colored squares of paper. 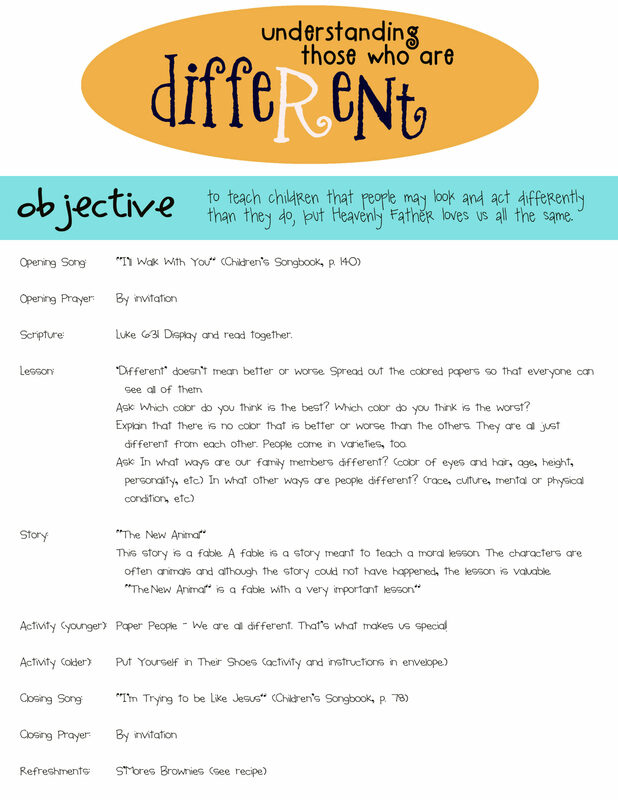 this understanding those who are different family home evening kit happens to have a story separate from the lesson. and this story is one of my very favorites! 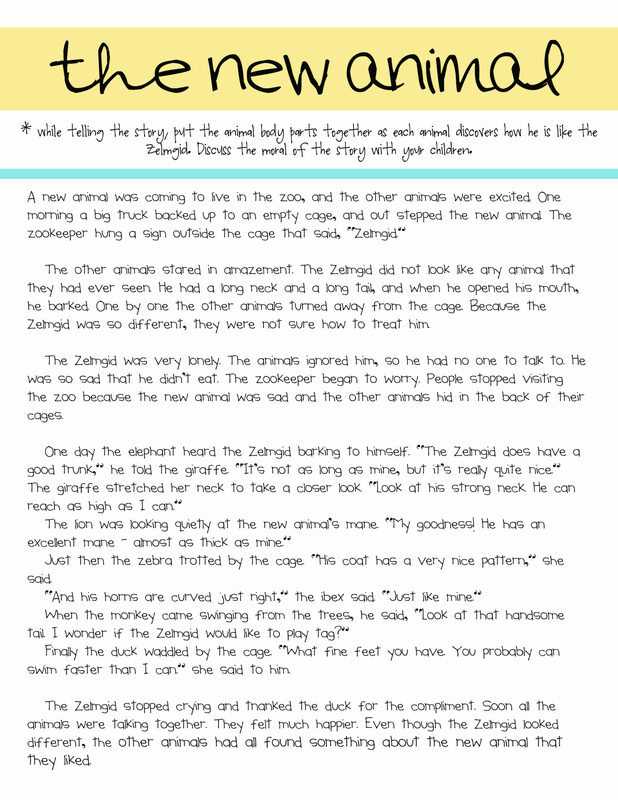 click here to download “the new animal” story for the understanding those who are different fhe kit. 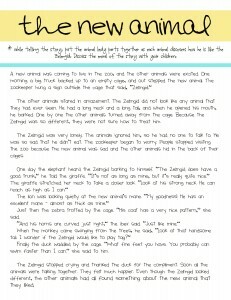 for the animal pieces in the story, you’ll need to go to the friend and download their images there. print them out onto white cardstock, color, cut, and laminate for durability (since i’m sure all the little hands will want to play with them and help to build the zelmgid!). the next step is to come up with an activity (or two, if you’re making one for younger children and one for older children). include instructions and any game pieces, if needed. in this fhe kit, the younger children’s game involves cutting out paper people and drawing them all differently. the download for this is combined with the scripture download, above. for the older children, their game involves putting themselves in other people’s shoes – how would they feel if they were in a certain circumstance? how would they like people to treat them? 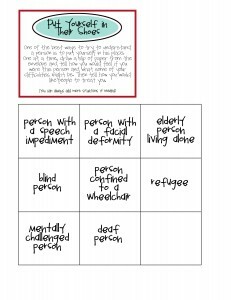 click here to download the “put yourself in their shoes” game for the understanding those who are different fhe kit. and last, but not least, refreshments or a special treat. 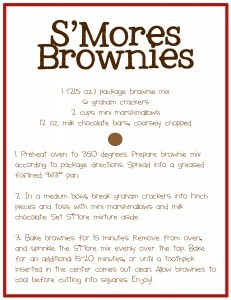 this particular recipe needs to be made earlier in the day so it can cool down, but they are well worth it. everyone will love s’mores brownies – because just like when we make other people feel good about themselves, we feel so good we want to look for ways to do it s’more! ha. 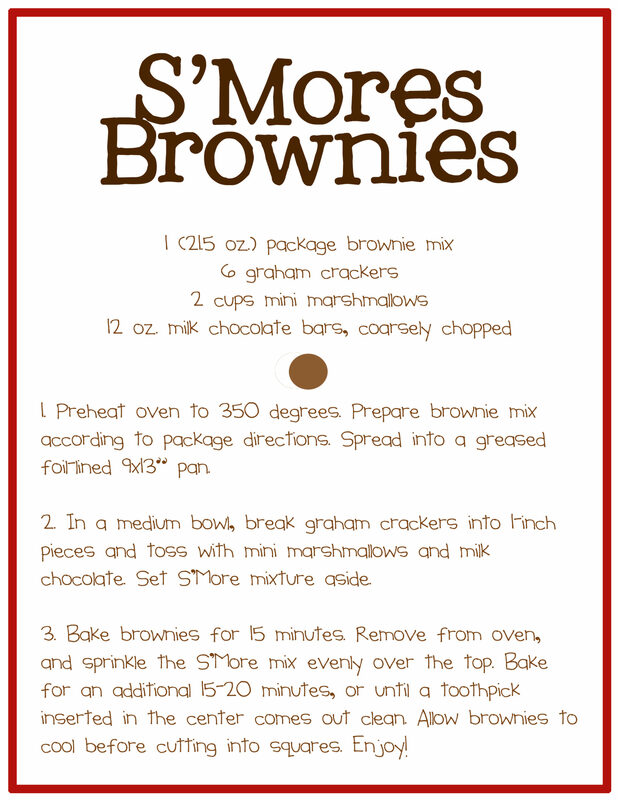 click here to download the s’mores brownie recipe for the understanding those who are different fhe kit. enjoy! and have a happy monday night! p.s. 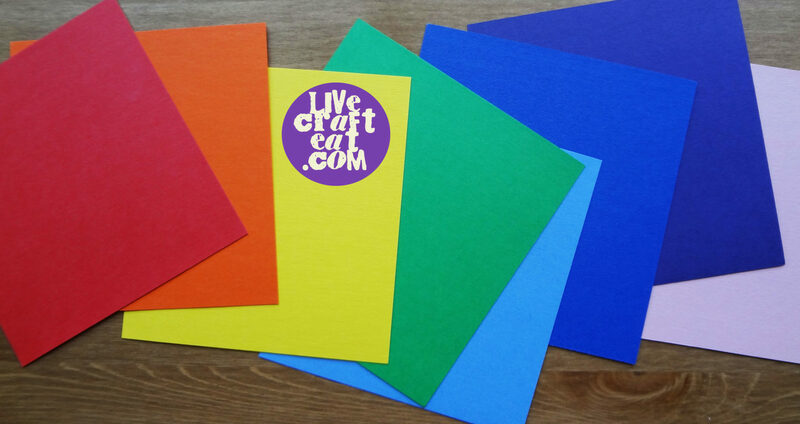 this kits are great not only for family home evening, but for anytime you need to sub in primary or nursery (leaders – keep some in your cupboards! ), or even just for keeping your kids entertained in sacrament meeting. 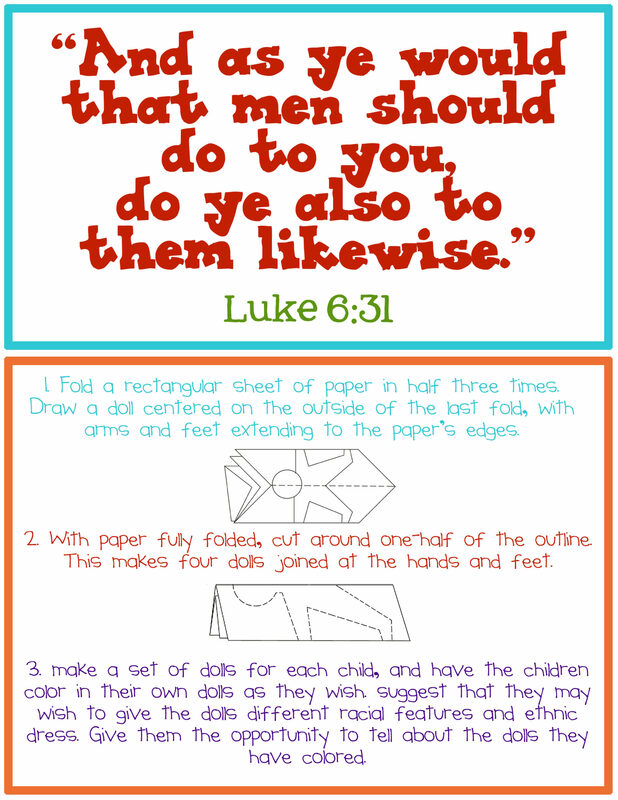 i’ve often pulled out little games from my family home evening kits to throw into our church bag. this is an outline that was given to me years ago but i’ve since made all the printables by myself. so if the original source is out there, thanks so much. LOVE this!! Thanks soo much!!! Thank you for sharing such a great idea! I really find that I have to plan out family nights in advance or they just don’t get done at all! (insert guilt face here!!!) Thanks also for sharing such a great FHE idea! I’ve downloaded all the pieces to create my own folder. Found you on Pinterest! Have a blessed weekend! Kari, thanks for your comment – that is so sweet of you! Thank you! I’ve found that I’m the same way (and I know we’re not the only ones), so I started planning them out in advance and my kids love them! It’s so nice to have a box with several lessons done and I can just pull one out on Monday night. 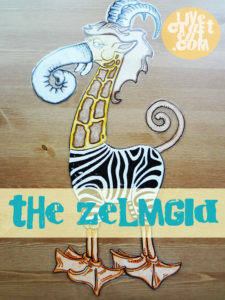 I hope your kids like The Zelmgid Story as much as my kids do! You have a great weekend, too! Rachel, you are absolutely right! it does make it so much easier having them already planned out and ready to go. mondays are hard enough 😉 good work on having so many made and ready to go! Hi LaNae! Thanks for your comment! To answer your question: no, I don’t have any more FHE kits posted right now – i only have the gratitude and understanding those who are different kits so far. I hope to post more in the future, but for now that’s all I’ve got – sorry! 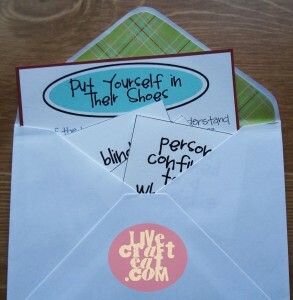 I think that’s a great idea to make these for a YW activity! If you end up doing it, let me know how it goes – I’d love to hear! Thanks again for visiting my blog! I love these! I am also bad preparing family nights so I decided to get more ideas. These are great. I actually put them in a sheet protector and write the lesson name on it. I keep these in a huge binder that I found at the thrift store for 75 cents. 🙂 Also easy for the children to find one they want when it is their turn. I’m using this for an FHE exchange next week. 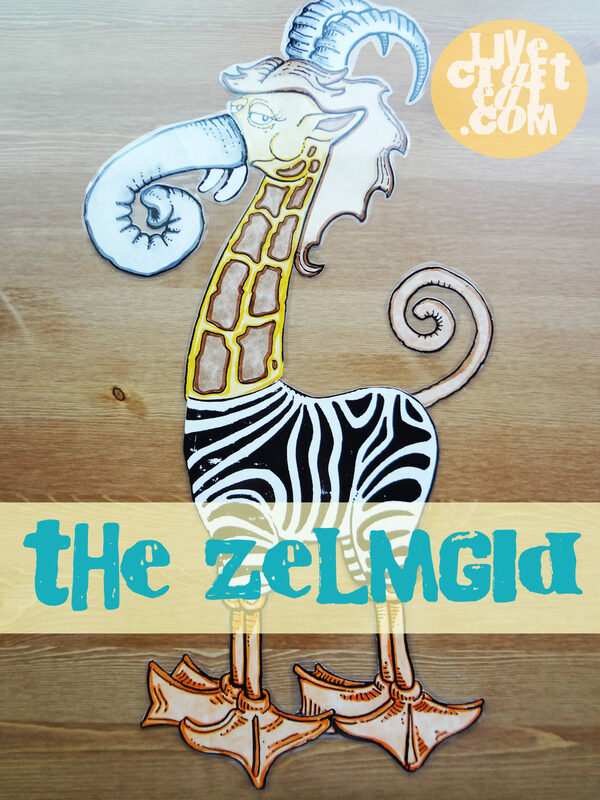 I LOVE the zelmgid story, I gave it as a talk in Primary when I was a kid. 🙂 Thanks for putting this together, I’m excited about this lesson! Thank you for this! 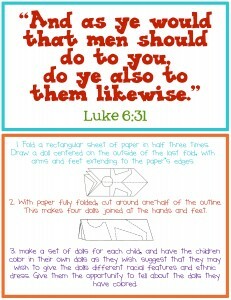 I’m going to have my Faith in God girls make this kit to take home and teach their families for FHE. Thanks for sharing! Great lesson! Thanks, Amber! So glad you can use them for Activity Days! 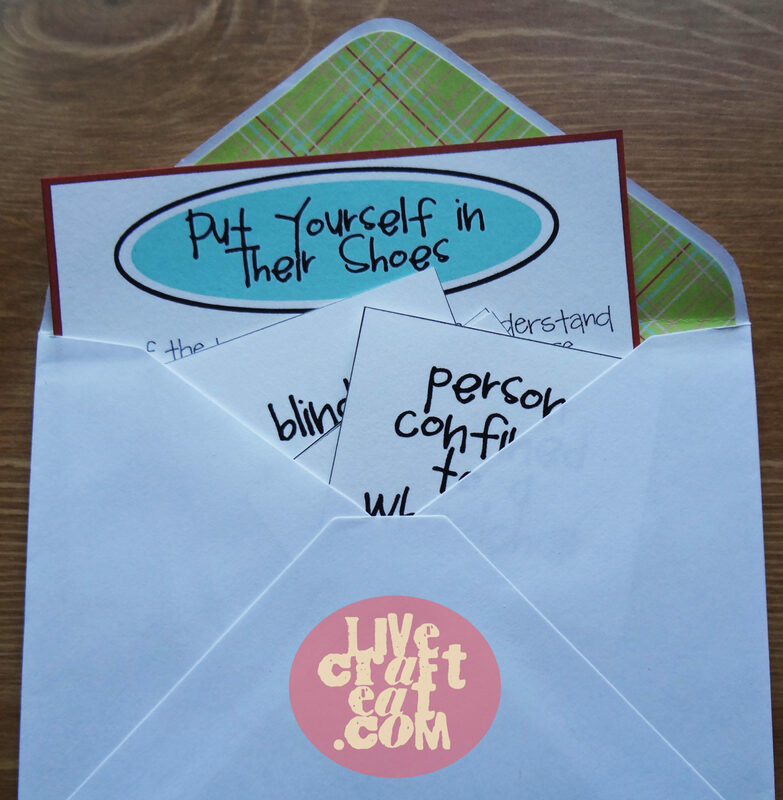 I am creating Family Home Evening packets with my small young women’s group in Scofield, Utah, as a project for their Personal Progress medallion. Your site is a life saver! Thanks so much. E-mail me any ideas you can share. Great! So glad you can use them, Tricia! These are WONDERFUL lessons. I’m pinning and sharing on my Facebook page. Thank you! Thanks so much. 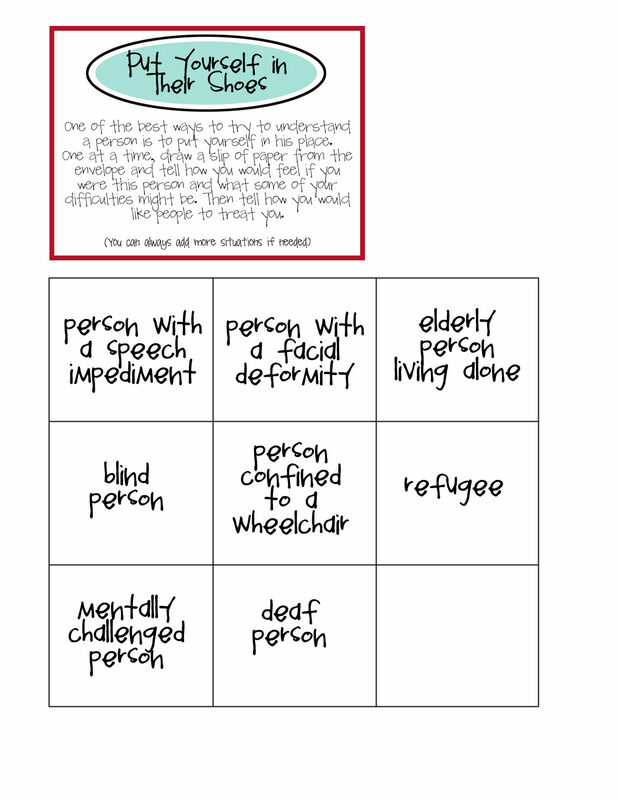 I love this and am keeping it for when we need a primary teacher to fill in at the last minute. Wow…This packet is fantastic! I’m sure it took you a lot of time to put together. Thank you so much for sharing it. I just printed a copy to use for FHE tonight.